Addison's Disease: A medical condition caused when a dog's adrenal glands fail to produce enough hormones or other chemicals that regulate his metabolism. Symptoms include weakness, weight loss, anorexia, and fatigue. Bloat: This extremely serious condition, also known as Gastric Dilation-Volvulus (or GDV), usually occurs when a large amount of food, air, fluid, or foam amasses in a dog's stomach. If the stomach twists, this causes a blockage. Unless the dog receives immediate veterinary care, bloat may be fatal. Cervical vertebral instability (wobblers): This condition is an abnormality of the cervical (neck) vertebrae in a dog, resulting in neck pain and/or poor leg muscle coordination and weakness. Congenital: This commonly used term denotes a condition that is present in a dog at its birth. Congenital conditions aren't always inherited or passed on to their offspring. Cruciate ligaments: "Cruciate" means "in a cross shape." Cruciate ligaments occur in a dog's knee joints. 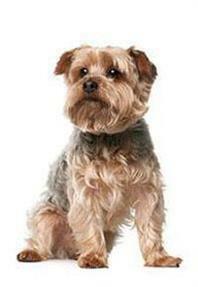 Cushing's disease: This common endocrine (hormonal) disorder usually strikes older dogs. In most cases, it's caused by a lesion in the pituitary gland at the base of the brain. The result is an overactive adrenal gland(s). Symptoms often mimic those of other conditions, including increased appetite, increased drinking and urination, panting, bulging abdomen, skin lumps and discoloring, hair loss, muscle weakness, and nervous system disorders. Cyst: A cyst is a sac of fluid or semi-solid substance. Though cysts are usually not serious, they can, on occasion, be malignant. See your vet if you discover a growth on your dog. Demodectic mange: This mite-caused skin disease causes hair loss, mostly on the head and front half of the affected dog. Estrus: This is the proper medical way of saying a dog is "in heat." Hip dysplasia: This potentially crippling disease causes arthritis of a dog's hips. Dysplasia (literally: "bad growth") results in abnormal development of the hip joint. Breeds like German Shepherds, Rottweilers, and Golden and Labrador Retrievers are genetically predisposed to the disease. Idiopathic: When your vet says that your dog's condition is "idiopathic," it means that it has no known cause. Inflammatory Bowel Disease (IBD): The cause of IBD is still a mystery, though many vets believe that it is a result of a dog's immune system attacking particles of tissues in the digestive tract. It may also be caused by food allergies. Common symptoms include diarrhea and vomiting. Lacrimation: Lacrimation is the secretion of tears. Excessive lacrimation may be caused by allergies, irritants, blocked tear ducts, a corneal ulcer, or a wound. If you notice that your dog appears to be crying too much, take him to the vet for an examination. Patellar luxation: This condition is caused by a congenital malformation of the dog's knee, resulting in dislocation of the patella (kneecap). This condition tends to occur most commonly in smaller breeds. von Willebrand's Disease: An extremely serious inherited bleeding disorder, von Willebrand's Disease is similar to hemophilia in humans. In affected dogs, the blood has a deficiency in a vital clotting factor. As a result, he may experience excessive and life-threatening internal and/or external bleeding. If your veterinarian uses words or phrases that you don't understand, ask questions. Vet lingo shouldn't be a mystery—it needs to be clearly understood by dog owners. After all, the more you know about your dog's condition and treatment, the better off your dog will be.